Fully equipped with new ship enhancements that focus on undersea explorations, guests will be able to maximise their experience with the use of kayaks, a state of the art remotely operated vehicle (ROV) that reaches depths of up to 300 metres, full snorkelling gear, a SCUBA program that can accommodate up to 24 divers at a time with a dive master, a glass bottom boat, additional Zodiacs and more. See the location of some of the fiercest battles of the Pacific theatre during World War II. As the National Geographic Orion makes her way from Papua New Guinea to the Solomons, Vanuatu and Fiji, those onboard will snorkel and dive pristine reefs and famous wrecks, trace the history of the Battle of the Coral Sea and the legends of the ancient Melanesians. The 14-day voyage departs 5 November 2014. Rates begin at $12,550, departing Cairns and disembarking in Lautoka, Fiji. Book this expedition before 30 June 2014 and receive $1,000 air credit. Valid on new bookings only, not combinable with any other offers. Sail from the sparkling white shores of Fiji to Tahiti’s lush volcanic crags, discovering fascinating geology and an abundance of bird species and marine life. Dive or snorkel among underwater canyons and tunnels formed from lava, meet island communities and explore the far-flung reefs of Kiribati, chosen as part of National Geographic’s Pristine Seas project. The 18-day voyage departs 18 November 2014. Rates begin at $18,420, departing Lautoka, Fiji and disembarking in Papeete, Tahiti. Book this expedition before 30 June 2014 and receive $1,000 air credit. Valid on new bookings only, not combinable with any other offers. The tropical seas that stretch from French Polynesia to Easter Island have seen missionaries, mutineers and explorers pass their way. Guests will encounter volcanic landscapes in Bora Bora and trace the legend of the ill-fated H.M.S Bounty from Tahiti to Pitcairn Island, ending the voyage among the moai of Easter Island. The 19-day voyage departs 4 December 2014. Rates begin at $17,410, departing Papeete, Tahiti and disembarking on Easter Island. 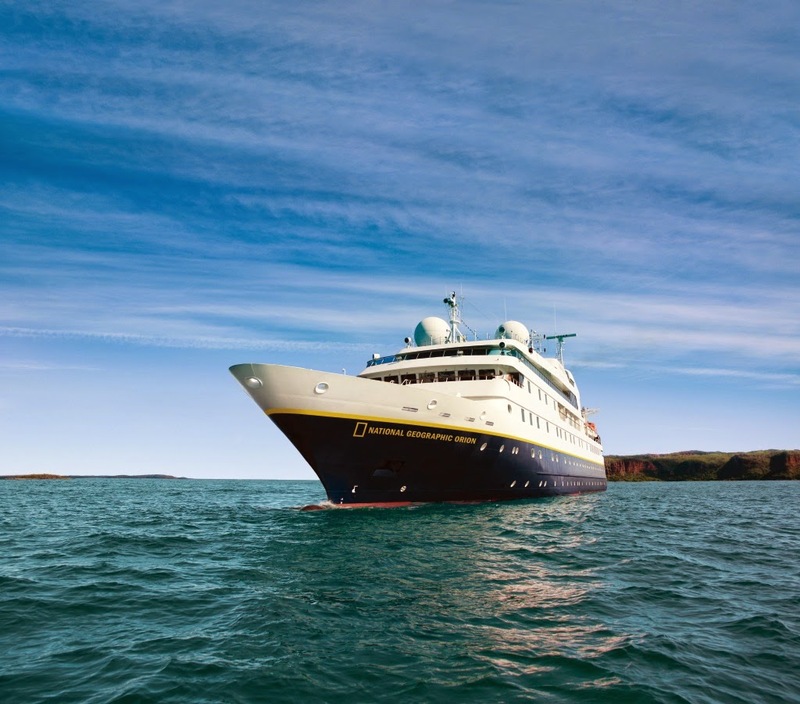 The recently expanded expedition team now includes a National Geographic photographer, a Lindblad-National Geographic certified photo instructor, and a video chronicler on all departures; an undersea specialist/dive master on many voyages, plus guest speakers on select voyages as part of the Lindblad Expeditions-National Geographic ‘Global Perspectives’ program. For more information on Lindblad Expeditions visit www.expeditions.com.